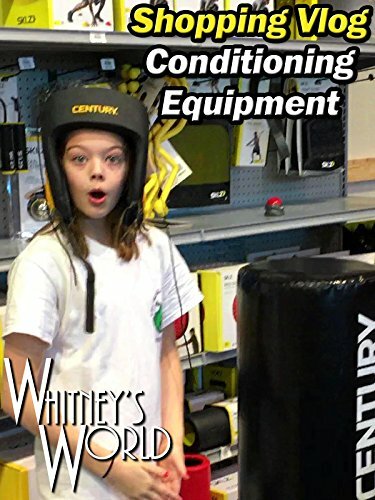 Whitney vlogs her shopping trip as she looks for conditioning equipment for her summer gymnastics workouts. Whitney needs a jump rope and wrist weights for her wrists, ankles, and waist (Whitney explains in the video). For some reason, Whitney walked out of the sporting goods store with a parachute as well.